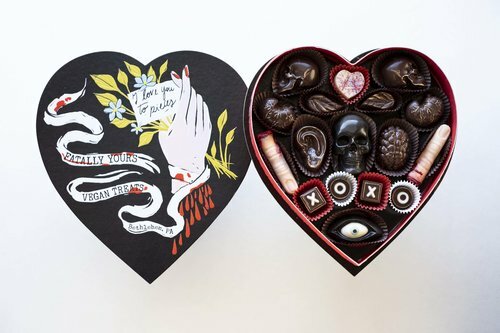 While Valentine's Day has never been my favorite holiday, it is slowly growing on me, especially with all the delectably dark products we get to treat ourselves or our spooky someones to this time of year! There are lots of ways to show your love, and an eerie adorable gift is the perfect start. 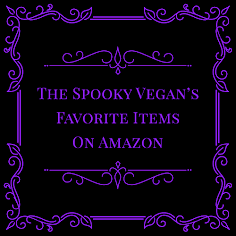 Whether you want to profess your adoration to the one you love, your admiration to your best friend, or want to treat yourself, I've rounded up some gorgeously gothic items to perfect for your favorite dark heart. 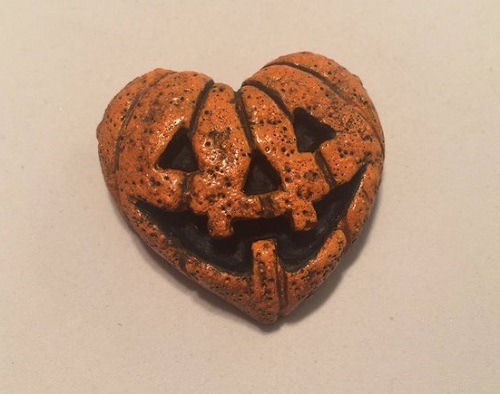 Dulce Calaveritas' Jack-O-Lantern Heart Pin - I love all of Dulce Calaveritas' jewelry and designs, but this one is especially appropriate for Valentine's Day, because everyday is Halloween! 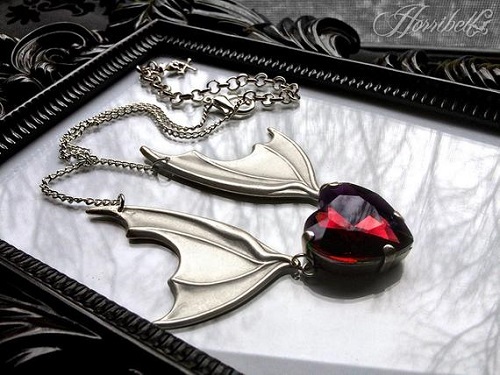 Bat Wing Necklace with Red Heart - This necklace by Horribell is dark elegance defined! It features two giant antiqued silver bat wings that carry a large heart-shaped red crystal pendant. 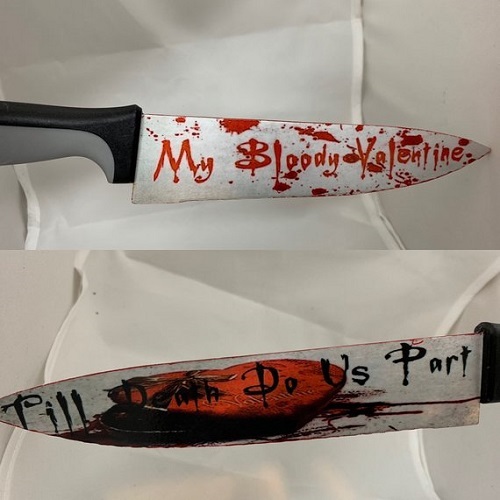 My Bloody Valentine Kitchen Knife - This Valentines gift will go straight to their heart! Perfect for your special morbid someone. Blood Splattered My Bloody Valentine on one side and Till Death Do Us Part over bloody chocolates on the other. This real kitchen knife was image transferred and sealed with a varnish clear coat. 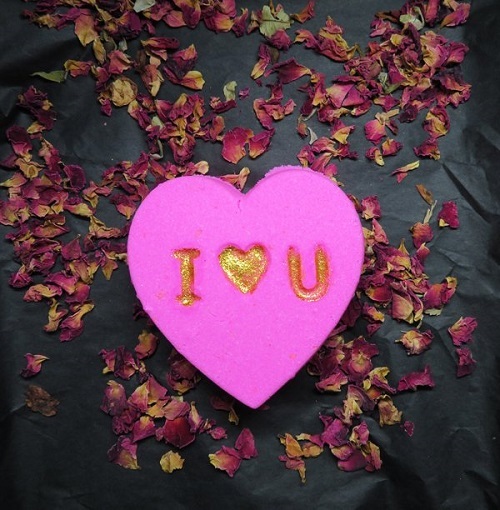 Sophi Reaptress' Conversation Hearts Bath Bomb - These vegan and cruelty-free bath bombs are available in two scents - Pink Heart (cotton candy) and Lavender Heart (blackberry bramble). 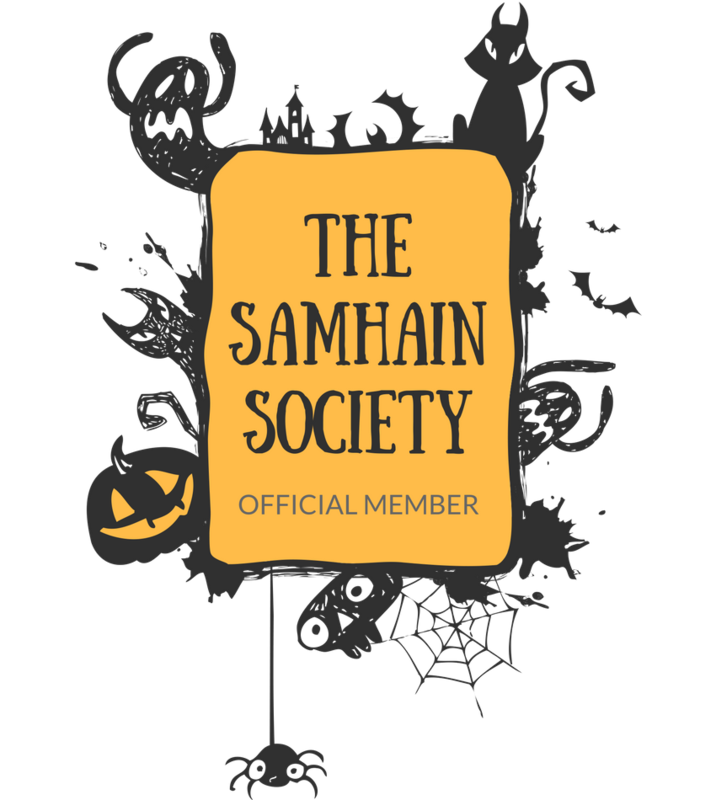 They are so cute, and handmade with love and spookiness by Sophi! 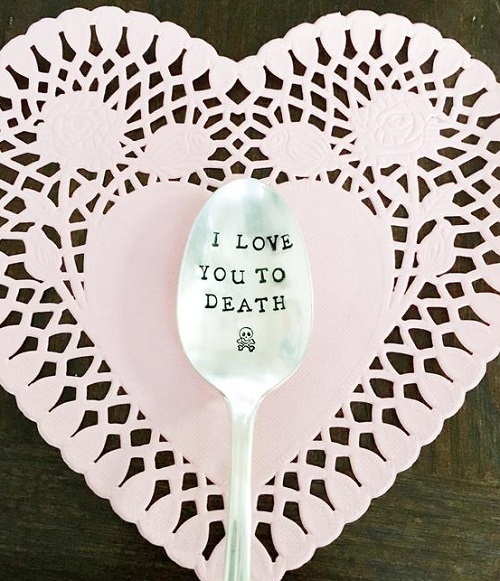 I Love You to Death Spoon - This re-purposed silver-plated spoon is hand stamped with "I Love You to Death", perfect for sharing vegan ice cream with your dearest darling! 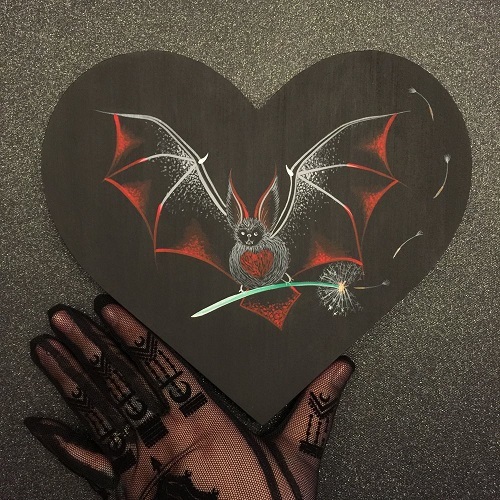 Lucky Hellcat's Dandelion Filigree Bat on Wooden Heart - Show them you're batty about them with this one-of-a-kind wooden sign is hand-painted in acrylic and ready to hang. Bloodmilk's Amour fou. Part II necklace - L'amour fou is mad love or insane passion, the love that is both exhilarating and dangerous, inspiring and deadly. This beautiful necklace embodies that duality of love. 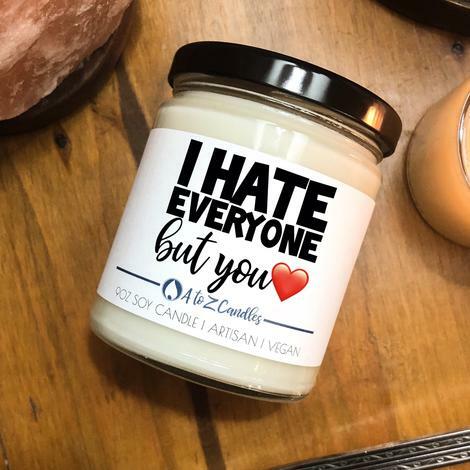 I Hate Everyone But You Candle - From one of my favorite candle companies, A to Z, comes this soy candle perfect for the person you hate the least. You can choose whatever scent you want and you can also customize the label to have it say whatever you want. Yosiell Lorenzo's Lover's Heart Bundle - Give them your heart with this beautiful anatomical heart sculpture! It even comes with a gorgeous coffin-shaped card. 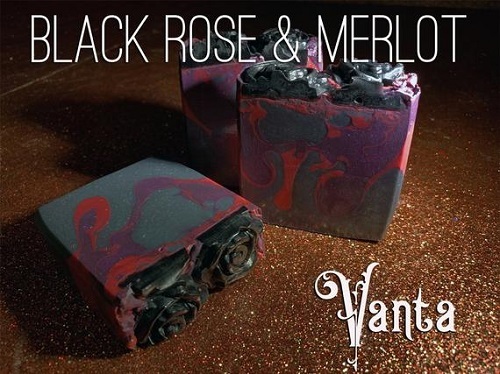 Black Rose and Merlot Soap - Vanta Vegan's luxurious soap infused with activated charcoal, blend of rose and deep merlot red wine fragrances, and topped with black roses and holographic bio-glitter. Perfect for the dark romantic in your life! 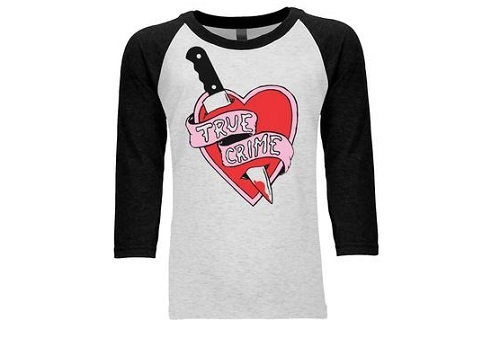 True Crime is my True Love Baseball Tee - Are you or your sweetie a lover of true crime that is obsessed with serial killers, unsolved cold cases, and violent crimes? If yes, then you need this tee! 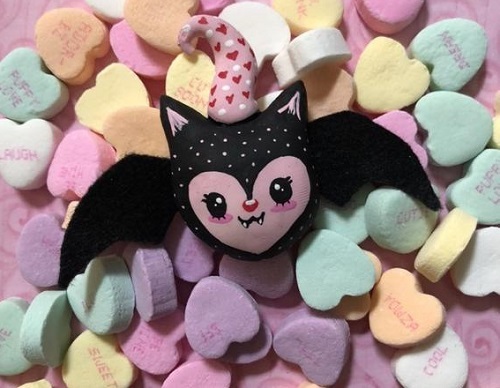 Heart Bat Brooch - This kawaii-inspired brooch is adoraBOOle and it is perfect for showing just how batty you are for your love. 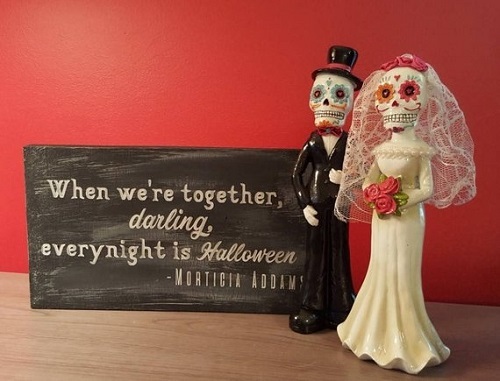 When We're Together, Every Night is Halloween Sign - Let your spooky boo know that they make every day feel like Halloween! This wooden sign is stained in black and distressed, with light grey lettering finished off with just a hint of sparkle. 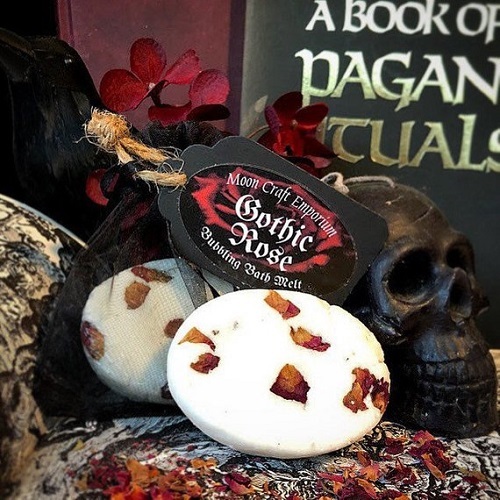 Gothic Rose Bubbling Bath Melt - By Moon Craft Emporium, this bath melt is cruelty-free and vegan. It is romantically scented with rose and patchouli and features real rose petals. 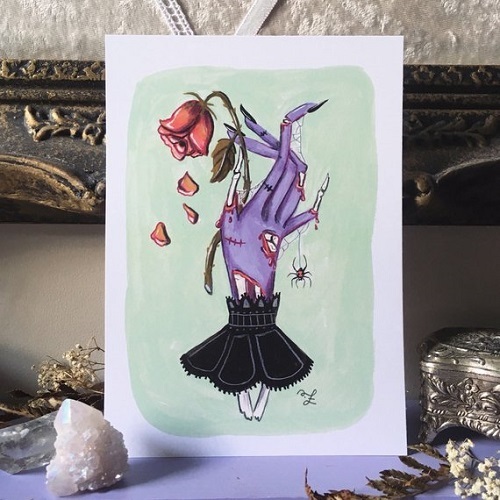 Flora, Fauna, and Faust's Zombie Rose Print - How lovely is this zombie hand holding a wilted rose? There is something so romantic about this image, like you'll love them to death...and beyond! 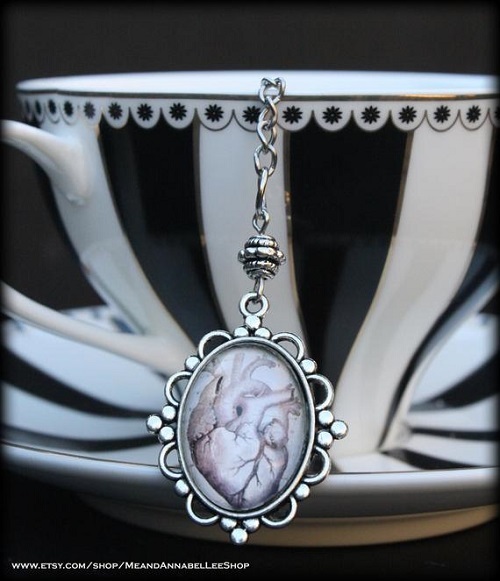 Anatomical Heart Tea Ball Infuser - Me and Annabel Lee makes these gorgeous tea infusers and this one is perfect for the tea-lover in your life. Not Your Ghoul Phone Case - Let them know to "beat it, creep", with this sassy phone case made by Worship13. Killer Love (Anti) Valentines Day Valentine Garland - "Our love is god. Let’s go get a slushie." 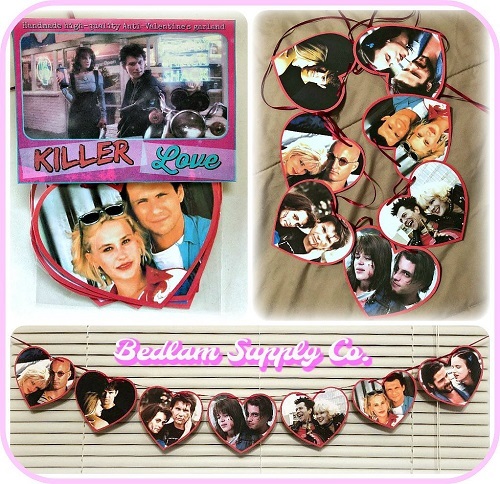 Featuring crazy couples from movies, this handmade and hand-cut garland from Bedlam Supply Co. would be the great for your own psychotic love! KMSxCo. 's Black "I Dig You" Teddy Bear - Unfortunately this adorable teddy sold out in record time, but I couldn't resist including it in case Killing Me Softly adds it back to her shop! There are several other variations with bears holding mini gravestones that say "Will You Bury Me?" and "Join Me in Death", but the "I Dig You" bear is my fave! 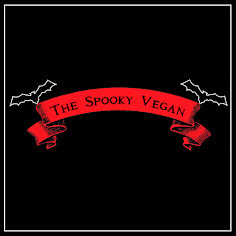 Fatally Yours Chocolate Box - This vegan and cruelty-free chocolate box from Vegan Treats is a forever favorite, and while it is a splurge it is worth it! This year, they've changed up the design of the box a bit, and included different chocolate body parts to nibble on. 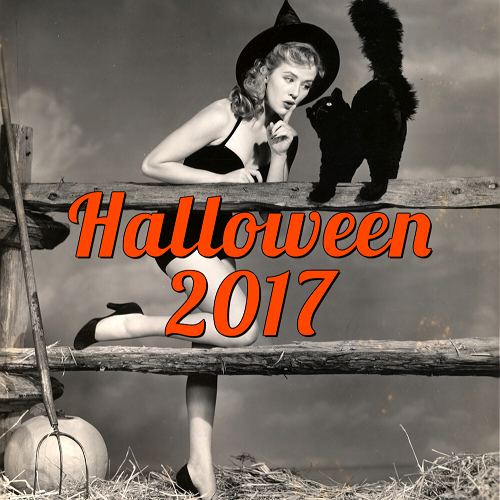 If you are looking for more to-die-for gift idea, check out my latest article on Nightmare on Film Street, featuring an additional 13 presents for your darling. 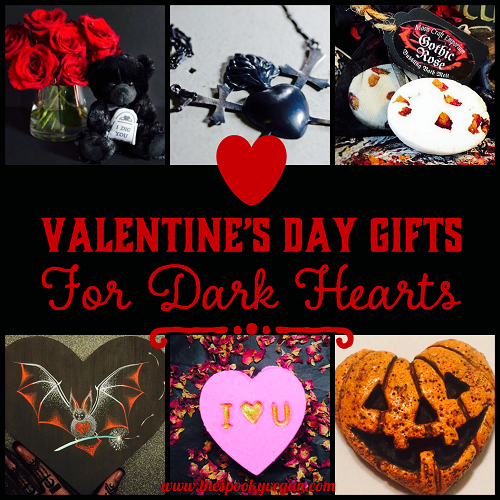 What are you planning on buying for your dearest dark heart (or yourself) this Valentine's Day?